Yay! 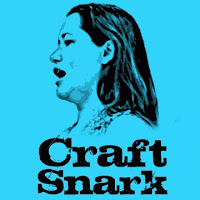 It is another week of Craft Lightning projects – crafts that can be done in 15 minutes or less! 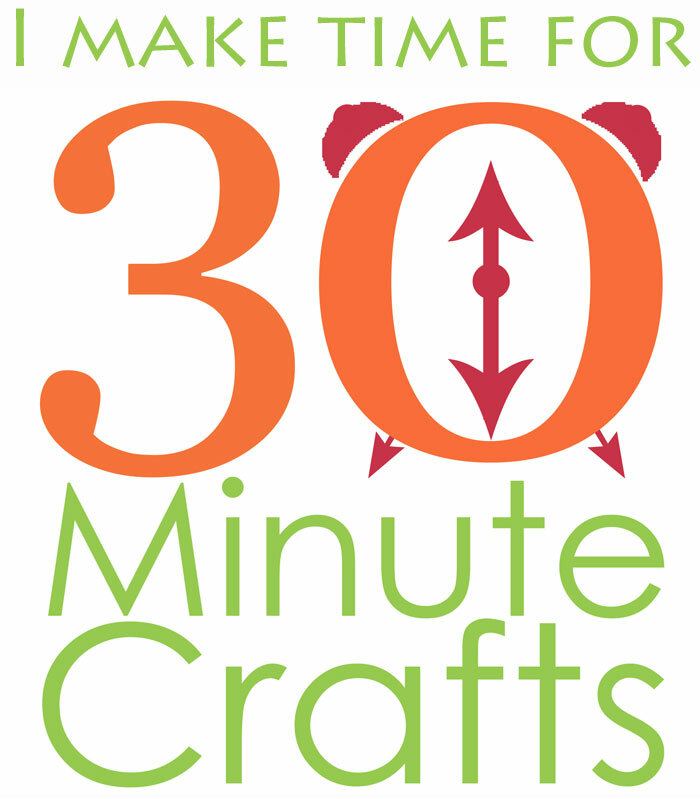 I’m teaming up with Angie from the Country Chic Cottage and a whole collection of other bloggers to share with you dozens of fast and easy Valentine’s Day Crafts. 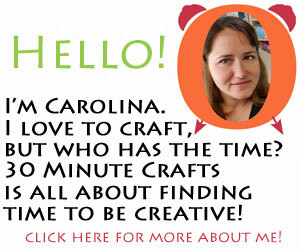 I hope you’ll join us each day as we share these fun Valentine Crafts! 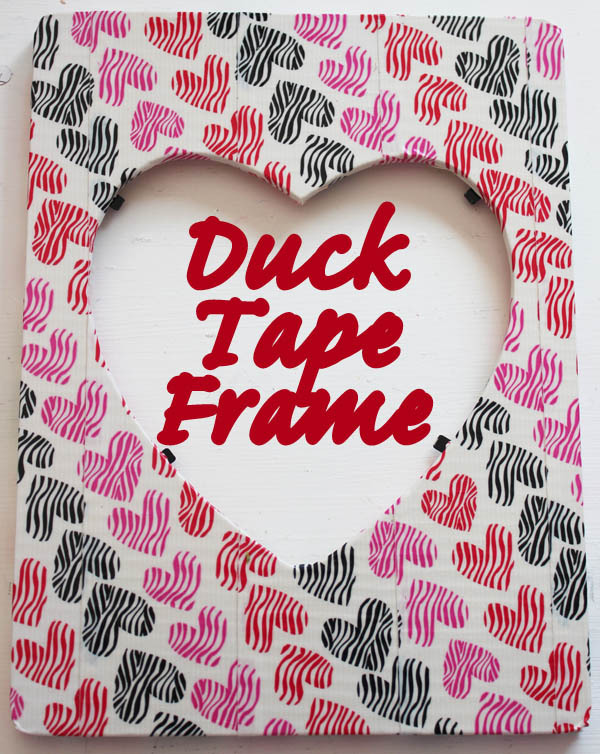 Today I’m sharing a Duck Tape Frame. 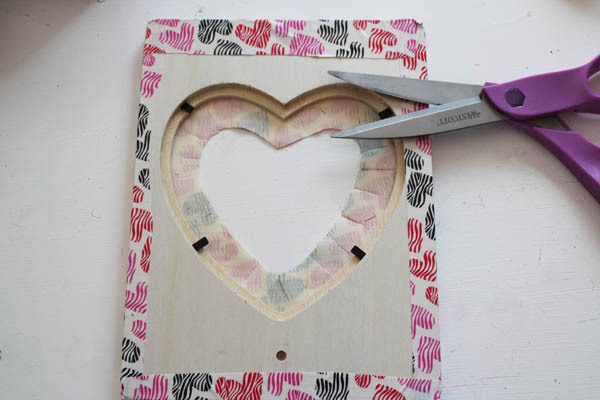 This project is super fun and simple to make, and only takes two supplies (ok, three if you count the scissors). 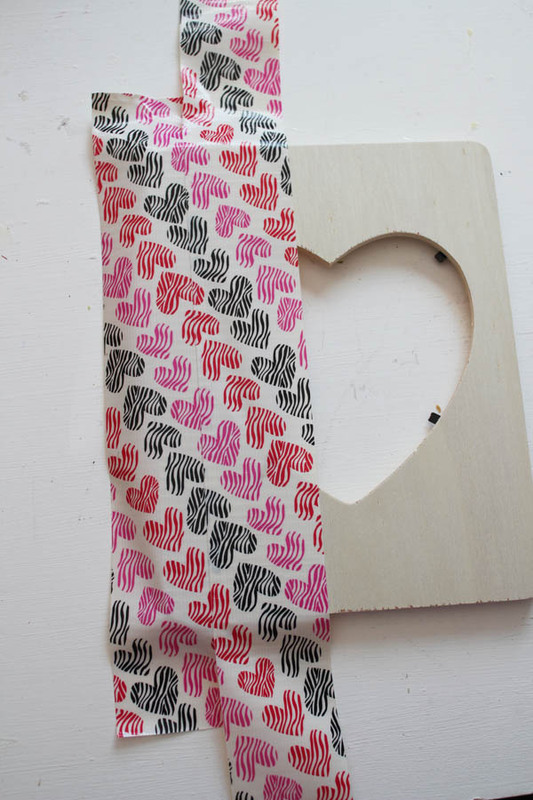 Duck Tape is easy to use, and comes in so many fun prints and colors, especially for the holidays! Before I get started, I should add that Duck Tape makes Duck Tape by the sheet, and you could very easily do this with a sheet of Duck Tape instead of using Duck Tape off of the roll. 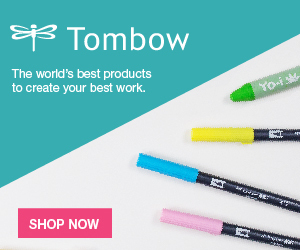 I bought the roll because I can also use it for sealing packages for Valentine’s Day, making another set of Duck Tape Earrings, or so many other things. But, if you’re just wanting to make a frame, you can absolutely buy a sheet of your favorite Duck Tape instead of the roll. Start by cutting or tearing a strip of tape off the roll. Put it on the frame. Start on one side, we’re going to move our way across. Make sure that you have enough tape hanging off the edge that you can wrap it around the back later. Add a second strip of Duck Tape. You’ll need a longer strip so that you can match up the pattern. If you use this pattern (which I love!) 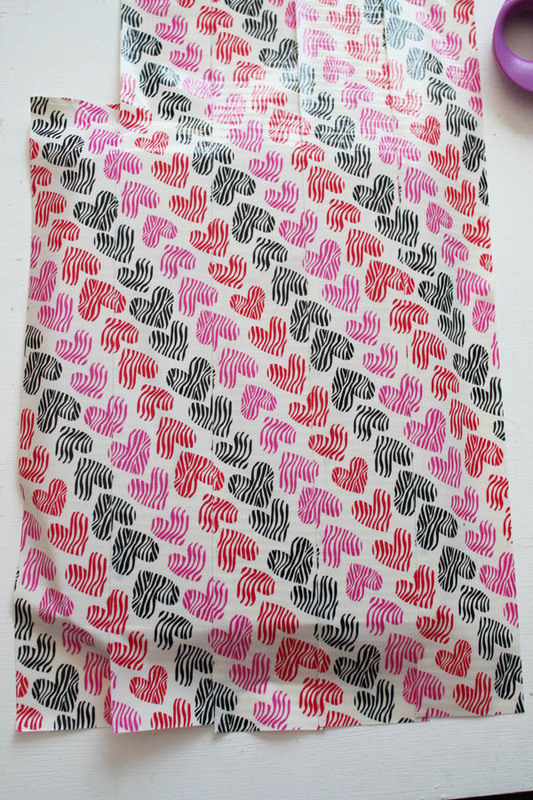 you’ll find that the hearts vary in size, making them difficult (or impossible) to line up perfectly. Just do the best you can, and it will hardly be noticeable (and if anyone does notice, just call it a “design element”). Keep adding strips of Duck Tape, matching up as you go, until the tape extends all the way across. 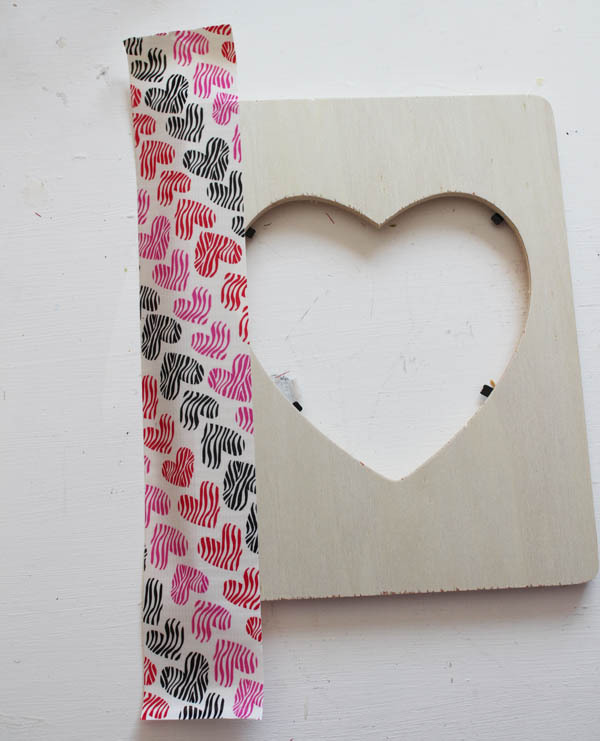 Trim the top and bottom so that there will still be overlap on the back, but not excessive, then flip over the frame. Tuck the edges down. 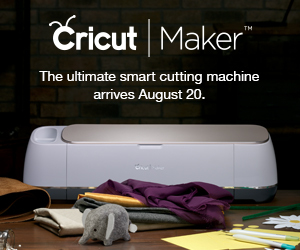 With scissors, cut out the center, leaving about 1 – 1.5″ of tape on the inside. Cut the tape into half-inch segments, so that it looks like fringe. Tug on the individual fringe pieces as you pull them to the back of the frame, and secure them to push them down. 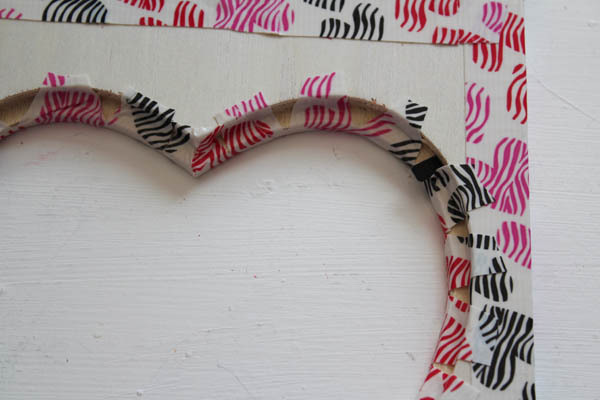 Duck Tape has a little bit of give to it, and pulling as you bring it to the back will help it stretch around the curves of the heart-shaped frame. That’s it! 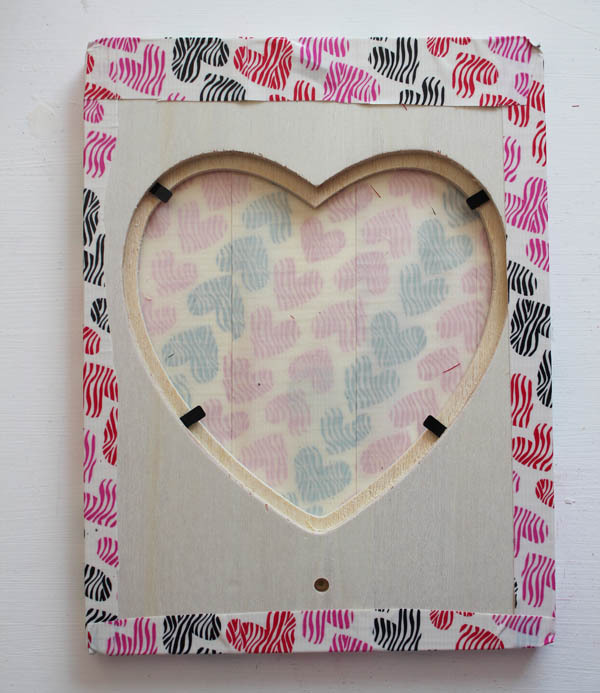 Grab a photo of your valentine, insert it in the frame, and you’ve some fast and easy Valentine’s Day decor! 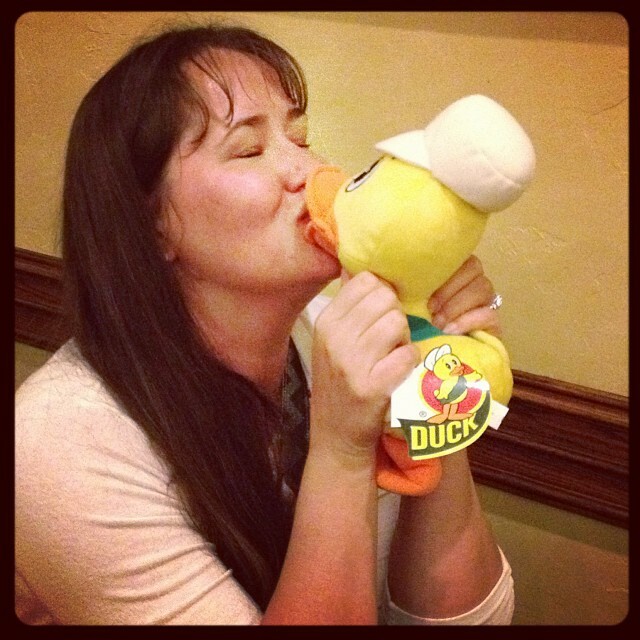 PS – I’m thinking I might put this picture of me with Trusty, the Duck Tape Mascot… my hubby won’t get jealous, right?